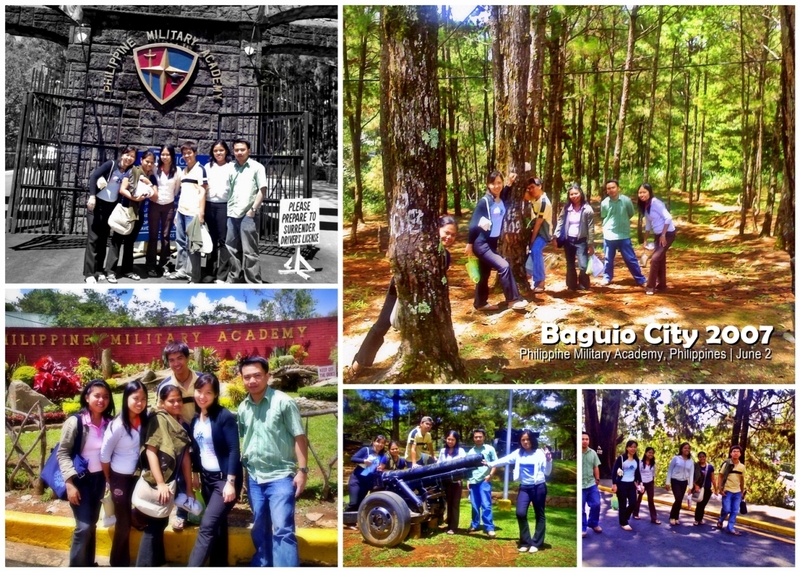 One of my childhood dreams WAS to visit the famous Baguio City. 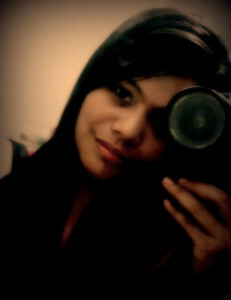 I don’t know, but the place WAS overly commercialized that I really would want to see it for myself hehehe! 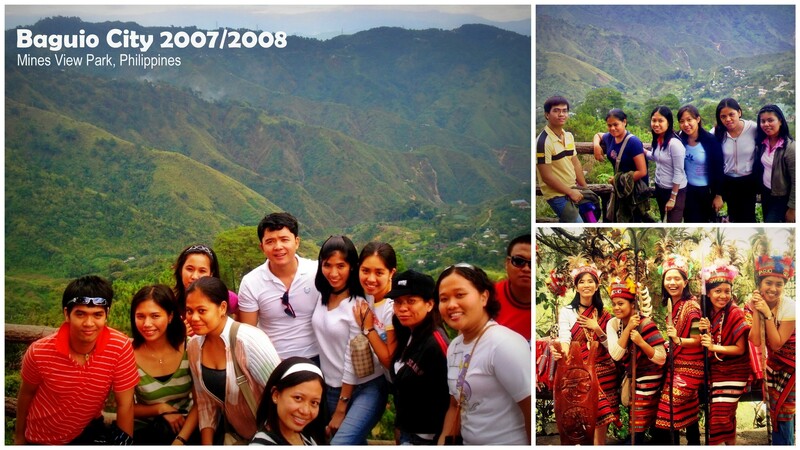 Until one day, after my second busy season (that was June of 2007), my office batchmates planned for a trip to Baguio. I was not that close to them yet at that time, so I hesitated at first. But because I so wanted to see Baguio, I accepted the invitation the day before the trip—and invited also one of my closest friends in the office, so I won’t feel out-of-place hehehe! Oh yes! Completing the 3-part 2011 Northbound Trip! [Part 1: Batad, Ifugao (Rice Terraces and Tappiya Waterfalls), Part 2.1: Sagada (Fidelisan Rice Terraces and Bomod-ok Falls), and Part 2.2: Sagada (Sumaging Cave)]. On our way back to Manila from Sagada, we decided to take the Baguio route. 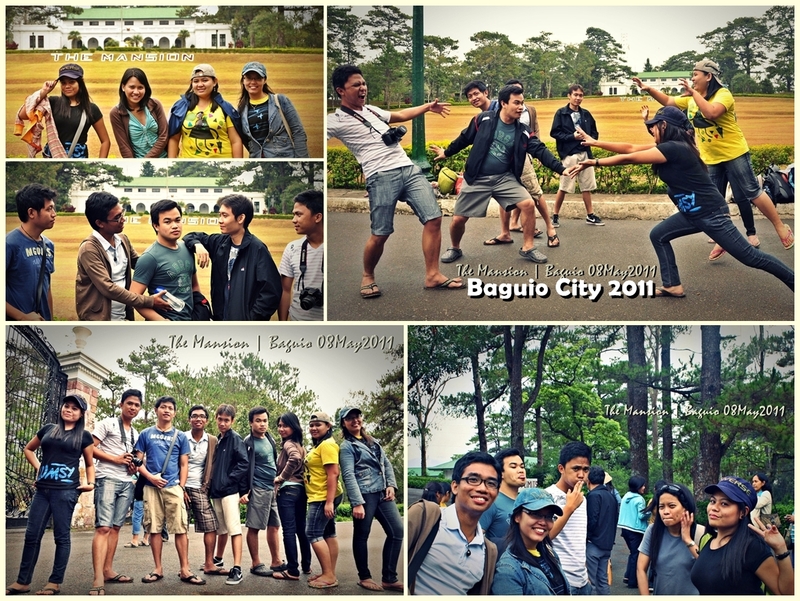 We went to visit a few of those tourist spots in Baguio, to pass the time away, before we headed back to Manila. It’s just a small cave, walked a few meters before we reached the end of it. We didn’t get much pics because (as mentioned above), we were only using a camera-phone–mahirap pa talaga kame dati, mga baguhang auditors! haha! The Philippine Military Academy (PMA) is the premier military institution of the country and is the training ground for future officers of the Armed Forces of the Philippines. This site was used for rest and recreation for personnel and dependents of the United States Armed Forces in the Philippines as well as Department of Defense employees and their dependents. It was last run by the United States Air Force. While officially designated a communications station, the facility was mainly used for rest and recreation. 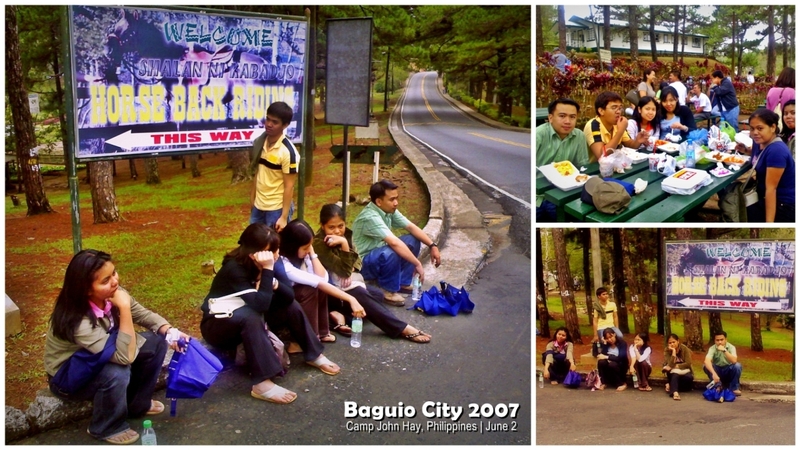 We ate our packed lunch (from Jollibee actually hehe) in this camp, stayed for a little while, then waited for a cab to take us to Mine’s View Park. And again, we didn’t get very good shots to justify the tourist spot! Hehe! 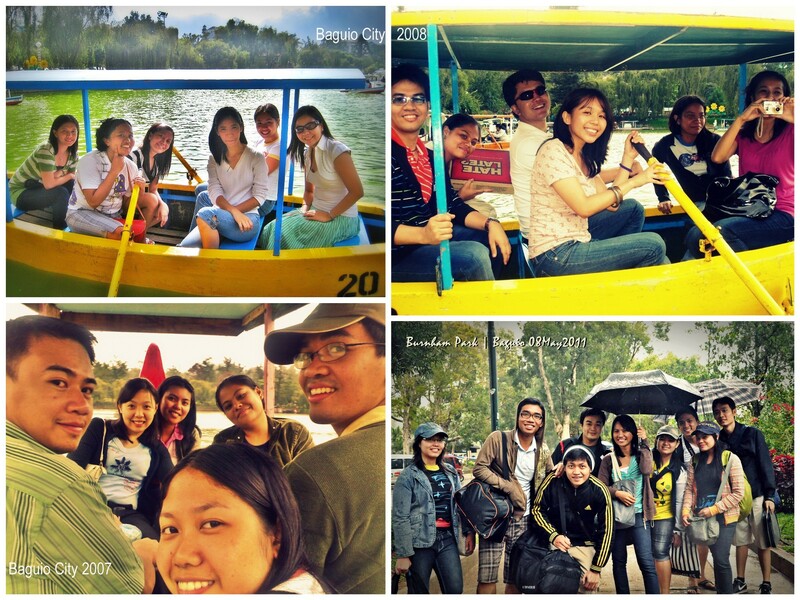 Burnham Park is an urban park located at the heart of the City of Baguio, in the Philippines. It was named after the American architect and urban planner, Daniel Hudson Burnham who laid the plans for the city. Several stretch of roads around the park lead to Camp John Hay, a former recreational base of the United States Armed Forces in the Philippines. 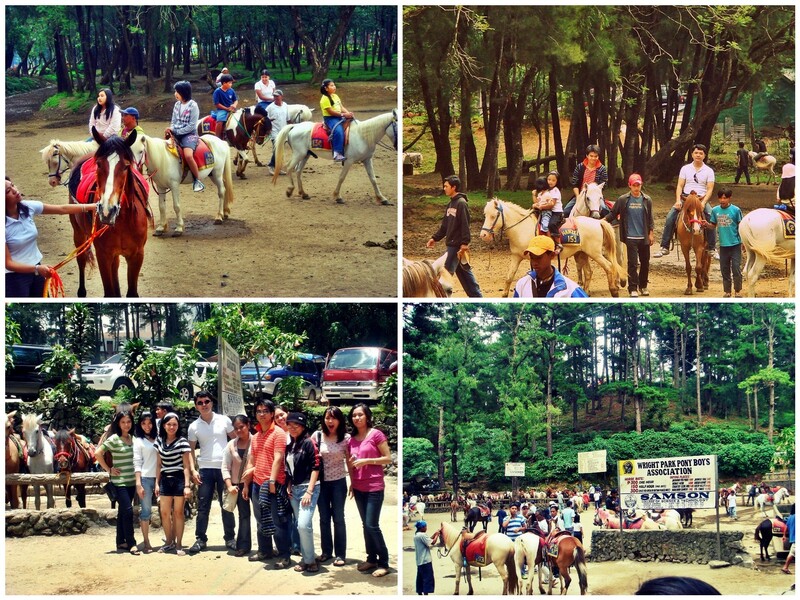 It is a scenic park overlooking Mount Kabuyao, the tallest mountain in the Baguio region. North-Bound 2.1: SAGADA – Bomod-ok, Sinakop!